Slice eggs in half lengthwise. Remove egg yolks from whites. Place yolks in a medium bowl. Mash with a fork. Add mayonnaise, dressing, 2 tablespoons bacon bits, salt, and pepper. Mix well; spoon or pipe mixture into halves of eggs. Sprinkle with bacon bits and garnish with chives, if desired. Makes 12 deviled eggs. 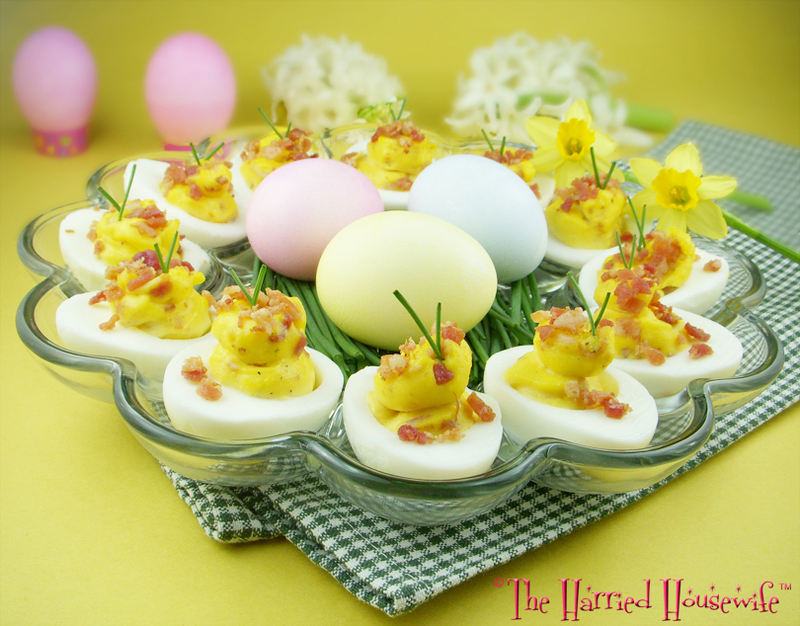 This pretty Anchor Hocking Deviled Egg Tray is perfect for serving these yummy hors d'oeuvres.